Every year on December 5th the Dutch celebrate St Nicholas—Sintnicolaas or Sinterklaas. The figure that Santa Claus is based on, Sinterklaas is the patron saint of children, his name day commemorated with acts of kindness and giving. Festivities begin three weeks prior to the festival day, when St. Nicholas arrives to the Netherlands by boat from his homeland Spain, accompanied by his helpers Zwarte Piet (Black Pete). According to tradition, the Piet are Sinterklaas´ Moorish, dark-skinned helpers; they are mischievous by nature, dancing around the saint and throwing sweets to the children. 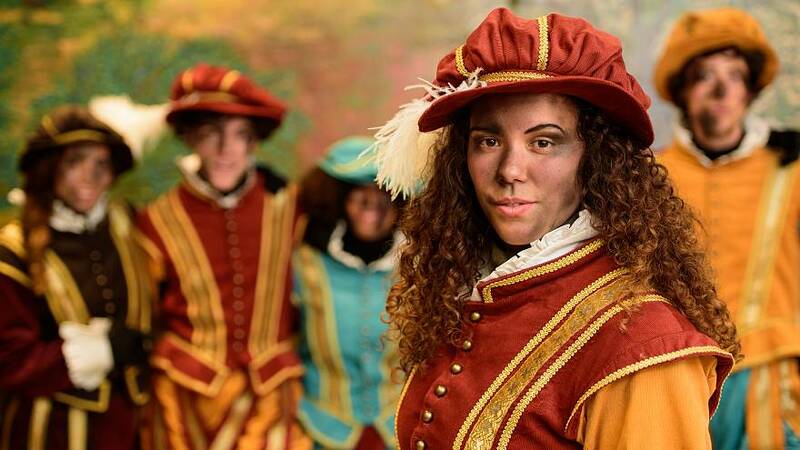 They are typically clad with gold hoop earrings, their faces painted black with red, thick lips—a garish portrayal and characterization which has led activist groups in the country to call the Zwarte Piet racist caricatures. The overt racial insinuations of the tradition had been largely overlooked until only recent years, when the activist group Zwarte Piet is Racisme (Black Pete is Racism, also associated with the group Kick Out Zwarte Piet—KOZP) began publicly protesting at Sinterklaas activities, claiming that the character of Piet was both offensive and discriminatory. Piet-supporters initially rejected the accusations of racism for a variety of reasons—Piet is dark because of chimney soot, or he is merely a fantastical clown-like figure who is amusing to children. Yet, as the debate intensified and attracted international condemnation, there has been a (albeit, slow) growing recognition in the Netherlands that the tradition is rooted in colonial rhetoric underpinned by the Dutch slave trade. While The Hague and Amsterdam are the only cities who have officially replaced Black Pete for their sooty-equivalents, other parts of the Netherlands have refused to change the traditional Black Pete, denying his appearance has any connotation to slavery. Zwarte Piet remains a heated issue in the Netherlands. Clashes between traditional Sint-celebrators and anti-Piet groups have broken out. KOZP protests were prohibited in Dokkum, Friesland, where this year’s first official Sinterklaas welcoming ceremony is held, with riot police redirecting activist buses to a different town on the grounds of safety. Dokkum has not introduced Chimney Piet, and the traditional black faced Zwarte Piet remains in official celebrations. The Dutch government has refused to comment on the issue, regarding it as a public matter. While much of the country want the celebration to focus on children and community, to be enjoyed equally by all, it seems that as long as Black Pete stays, Sinterklaas will be tainted by racial prejudice and the controversy will remain.